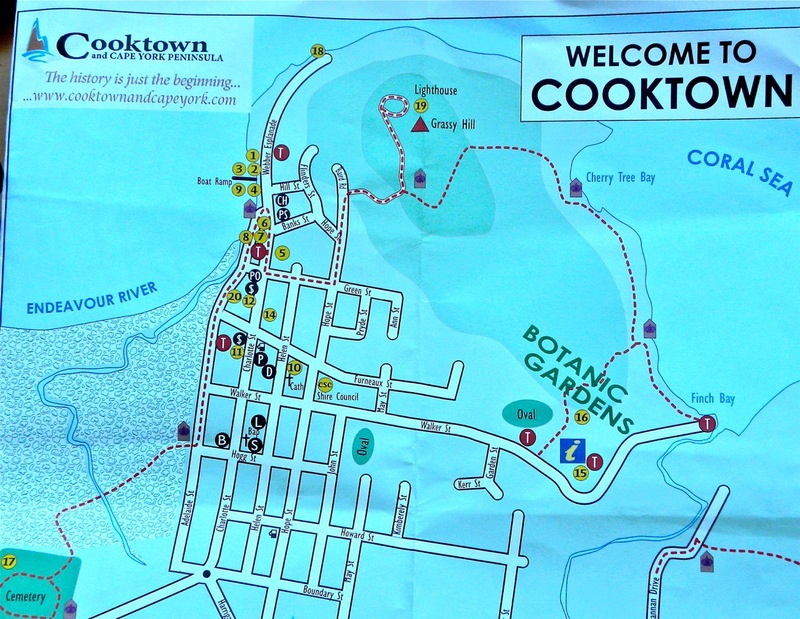 Cooktown is named after Captain James Cook, who landed here in 1770 when his ship, the Endeavour, needed repair. (Today a statue of Cook stands in the harbor near the spot where his ship landed.) It wasn't until the end of the 19th century that the town was established after gold was discovered nearby. The town quickly grew to become one of Queensland's largest settlements, but as mining flourished, so did the crime. Miners from China raced to the area in search of fortune, but they faced great prejudice, resulting in violent riots. Problems also arose between the gold miners and the Aborigines, who attempted to halt what they believed was the destruction of their land and the natural resources of Queensland. During the mining days, Cooktown was said to have dozens of pubs and brothels, and the streets were unsafe. Today this town is a peaceful place and offers visitors a chance to visit Cook's Lookout or explore the past in the Museum or the bush, where the Aborigines once lived. Grassy Hill lookout (162m) has spectacular 360-degree views, and its 1.5km walking trail (45 minutes) leads from the summit down to the beach at Cherry Tree Bay. Charlotte St and Bicentennial Park have a number of interesting monuments, including the much-photographed bronze Captain Cook statue. Several river cruises are available at the dock.